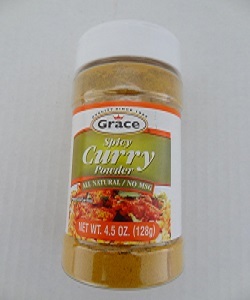 Grace Spicy Curry Seasoning is a warm combination of all natural flavours that will enhance your meat, poultry, seafood or vegetable dishes. Add directly to the dish being seasoned and adjust as needed to taste. 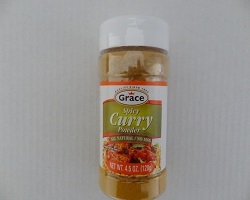 Grace Curry Powder will add great spice to your curry dishes. 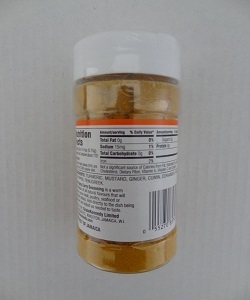 This curry powder is SPICY!